Nagoya (名古屋) is the capital and largest city of Aichi prefecture, in the Chubu region of Honshu, Japan. It is Japan's third-largest incorporated city, the fourth most populous urban area and one of the country’s leading industrial cities. It is also one of the nation's major economic centers. Nagoya now ranks as one of the nation's economic powerhouses, and is home to the head offices of Toyota Motor Corporation, Brother Industries, Daido Steel, Makita, Denso Corporation, INAX, Suzuki Motor, Honda Motor, Noritake, NGK Insulators, Olympus Optical, Yamaha and many others. 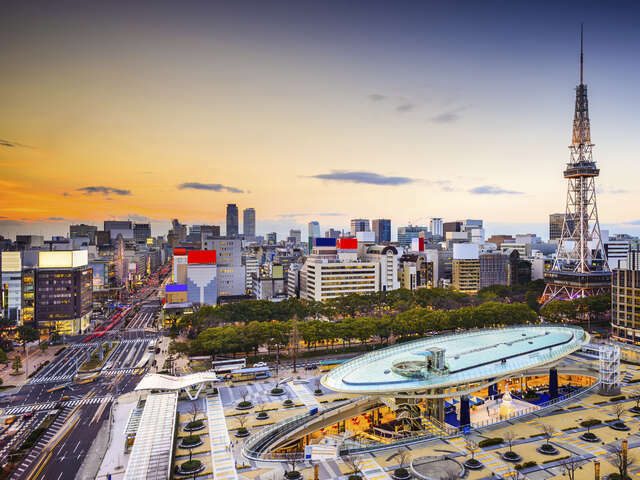 Unlike other parts of Japan, which borrowed heavily for elaborate and expensive public works projects in the bubble years of the 1980's, Nagoya held to a pay-as-you-go philosophy, and has not been as adversely affected by the post-bubble recession as other major centres.